On October 20-24, Valid sponsored and participated in Money20/20 USA in Las Vegas, NV; one of the most prominent global events related to mobile financial solutions. We were impressed to see the rapid growth of this dynamic industry which was reflected in this multidisciplinary event. Every day we have begun to see more and more how cashless transactions are taking over our daily lives, and the only speed bump to this imminent new change in our increasingly digitalized lives is interoperability. But first, what does interoperability mean? 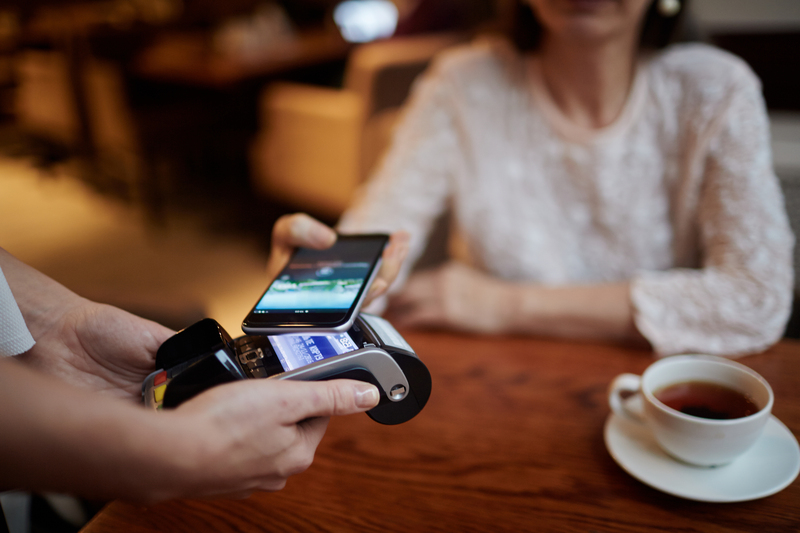 With interoperability, your Apple Pay can make a Peer-to-Peer (P2P) transaction with Google Pay or vice versa. With interoperability, your AT&T digital wallet will send money to a T-Mobile digital wallet. With interoperability, you can send money from a Chase Bank digital wallet to a Bank of America digital wallet. Technology has already paved the way so now it is simply up to regulations and market interests to catch up. But one thing we have learned after seeing taxi driver associations fighting with Uber and Lyft or how retailers are changing their business models after losing the war against Amazon, eBay and Alibaba, this new change of adding massive interoperability to the digital payment ecosystem will come sooner rather than later. Therefore, traditional financial and payment service providers are already working to address this new challenge. But why should you start thinking about how you pay your bills, transfer money, pay the bill at your favorite restaurant or checkout at your local grocery store using a mobile banking application? The answer is very simple…because you have to (yes, you have to). Why is Mobile Banking here to stay? Unfortunately, cash payments are becoming expensive due to the necessary security investment; (i.e. issues with public transportation throughout the world). Retailers are at a higher security risk by accepting cash so eventually, they will not accept it as a form of payment. Stores save a significant amount of operating costs through the use of an integrated POS (Point of Sale) system which can be a shopper’s own mobile phone or tablet. These savings will transform into better prices for the consumer. A complementary virtual credit card that comes with your actual credit card is not just a simple value-added feature, it allows you to start using your account once the automatic approval welcomes you as a new customer. The integration with analytics and campaign manager systems will give consumers access to millions of discounts and savings due to offers, promotions, location-based sales, opportunity-based sales and many other “based” sales since the application is integrated with your connected life. Since it is a real-time connected payment, the consumer will be in direct contact with the producer. With Mobile Banking, producers do not have to wait the obligatory 30 or even 60 days it typically takes for retailers to pay them for their goods. Security. Consumers want to know all their transactions and payment devices are safe and secure. Reliability. Consumers want to know their transactions will be processed without error at the point of sale. Ease of Use. You shouldn’t need a degree from MIT to operate a seemingly user-friendly mobile banking application. Valid is proud to offer our Secure Services Hub (VSSH) solution which provides mobile banking, loyalty programs, social banking, mobile payment solutions & wallets, digital enrollment and biometric authentication services to address the growing needs of this ever-evolving market. VSSH is offered in MBaaS mode (Mobile Back-end as a Service) and allows the flexibility to choose a single functionality or a full suite of digital services. It is capable of integrating with most clients or third party services needed to deploy a tailor-made platform. For more information regarding VSSH, please visit https://valid.com/what-we-do/payment-solutions/valid-secure-services-hub/.